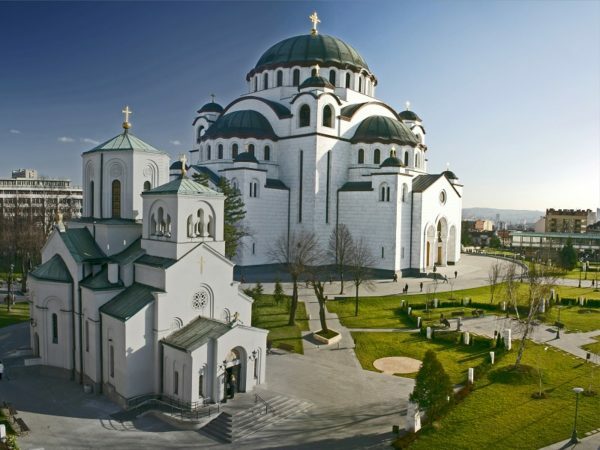 Cathedral of Saint Sava – It’s one of the most beautiful buildings in Serbia, and it’s also the largest Orthodox Church in the Balkans. 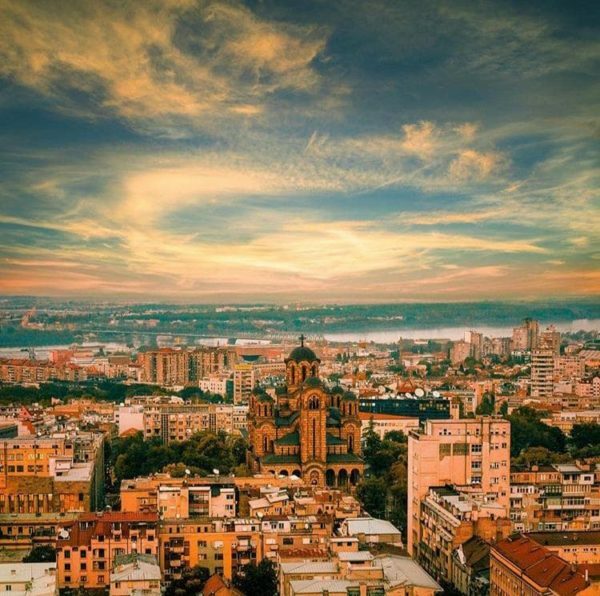 Located in the center of the city, an the Vracar plateau, represents one of the most important places to visit an capture while you are in Belgrade. The best time to visit is when the sky is clear and light blue. 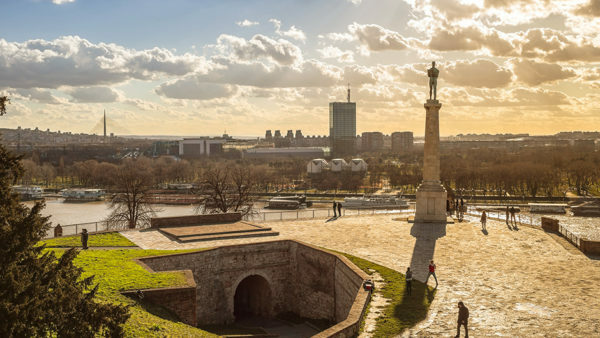 Kalemegdan Fortress – Probably the place where you will spend the most time taking good shots! History, culture, scenery and beauty is what you will find inside the walls of the Kalemegdan Fortress. You will take a photo on every step! It is visited by thousands of tourists every year, and is open all day and night all year round. 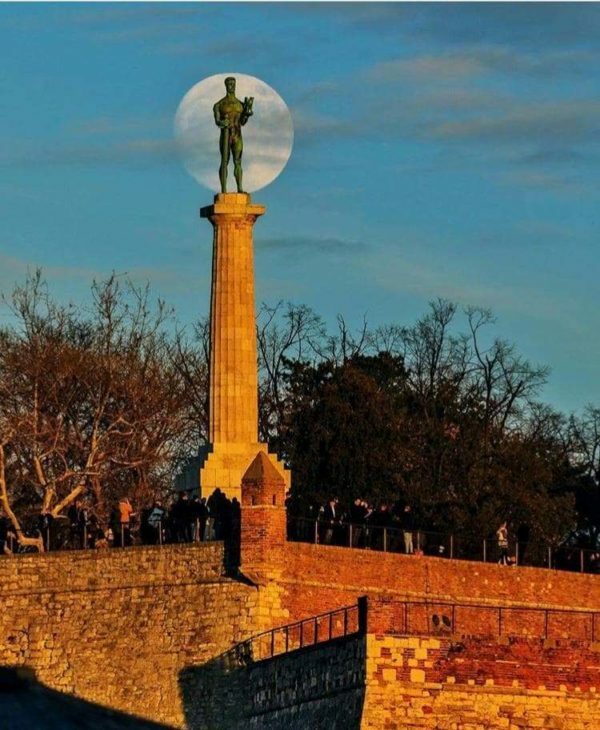 What you shouldn’t miss while walking around Kalemegdan Fortress: the Victor monument. Bronze, male figure of 14 meters, stands and looks across the river. Statue was made in 1913. by our famous sculptor Ivan Mestrovic. Stunning and breathtaking, with a great view, plateau where statue is, is definitely a must place to take a photo. Military museum. This museum is the most accurate witness of changes in history at this part of Balkans and wider. Many exhibits are outside the museum, and perfect to make unique pictures! Boho Bar. This lounge bar is a mix of impressions and inspiration from exotic places – Bali, Morocco, India. One of a kind place in Belgrade, with a relaxing atmosphere, beautiful interior and oasis like vibe. Gardos (Millennium) Tower in Zemun – It was build for celebrating a thousand years of Hungarian settlement in the Pannonian plain. During summer you can hear the music of live concerts from open air theater near the tower. 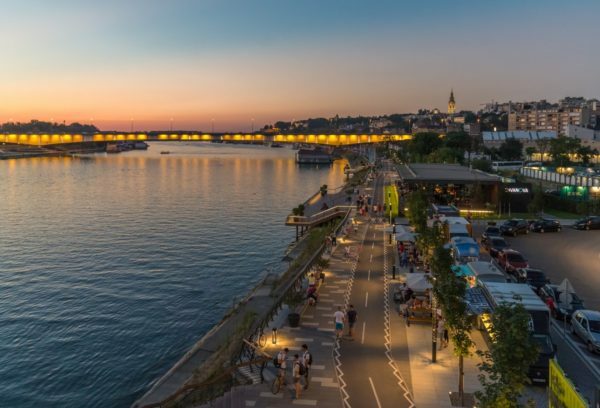 Unique architecture, and a view across the river, represents a heaven for taking ultimate panoramic picture of Belgrade. Savamala District – Industrial, artistic, fun! You will find many great street graffiti which are perfect for taking a picture! One of the best pubs, bars and great restaurants are located in this district! Below Karadjordjeva street there is a web of underground passages that have not been adequately investigated. You can take underground tour for more “darker” shots! We warmly suggest to visit Ben Akiba bar, a modern concept which is presenting art and music fusion, and combined with the original ambiance, Ben Akiba White Lounge & Art Gallery is something what you definitely didn’t experienced before. 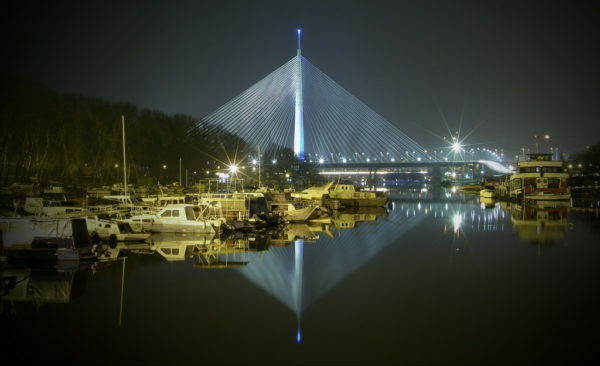 Ada Lake – Also called “Belgrade’s seaside” is a hot spot during spring and summer. Full of people, beach bars, and sport activities, is a great place for daredevils who love to show off on Instagram. Selfie from a wake boarding is just a starter for your imagination! 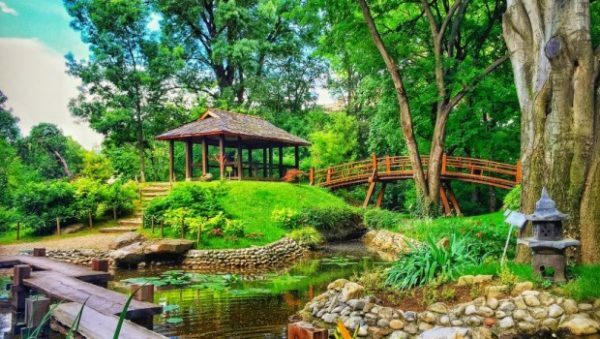 Botanical Garden Jevremovac – The botanical garden of the University of Belgrade is settled in an urban neighborhood of Belgrade. 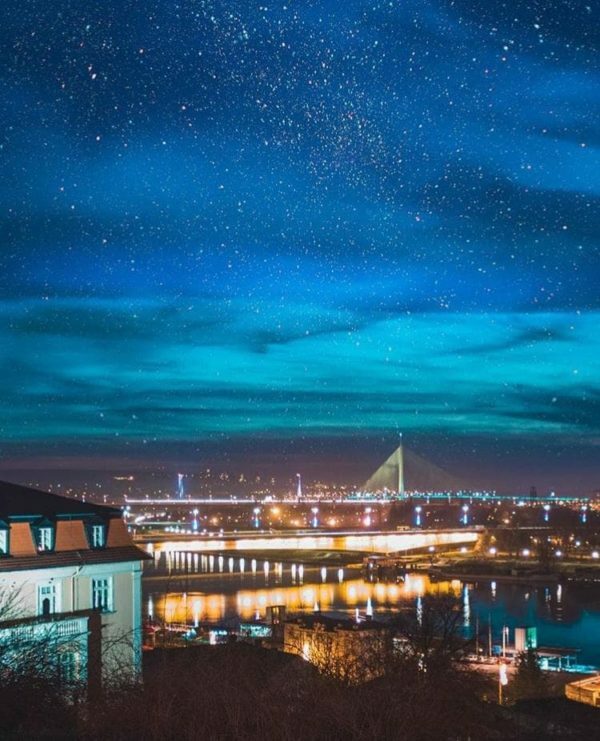 It is located in Belgrade’s municipality of Stari Grad and is an administered by the University of Belgrade’s Biology School. Beautiful nature and remarkable greenhouse will leave you breathless, and you won’t notice how time is passing by. Skadarlija Street – A place were time stopped! 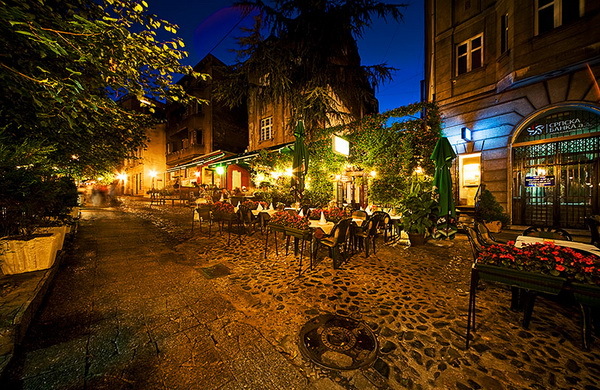 Bohemian quarter, located in the old city of Belgrade. It is a romantic district, with a number of traditional restaurants, visited by foreigners as well as from local people. A must visit place worth of taking a stunning pictures! Definitely a picture with the most likes on your Instagram profile! Cetinjska street – Reborn industrial center, artistic and unique place located next to the Skadarlija Bohemian quarter. Once a beer factory, today a hipster center of Belgrade. Beautifully designed bars and clubs, a place worth visiting. 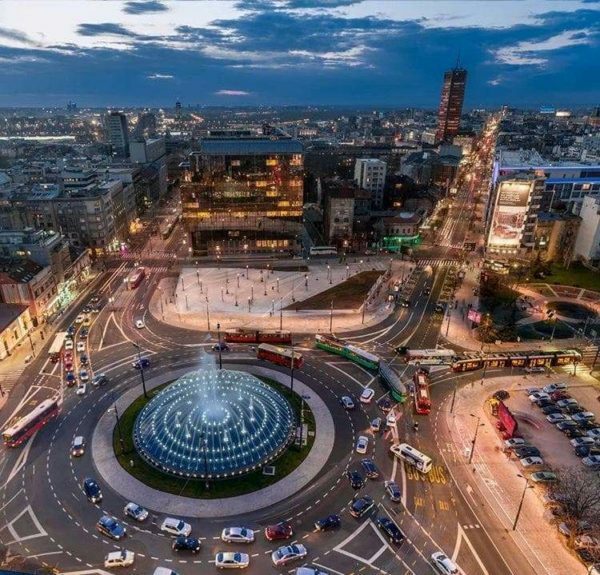 Nikola Pasic Square – What is more touristic than taking a picture next to the tag name of a city? 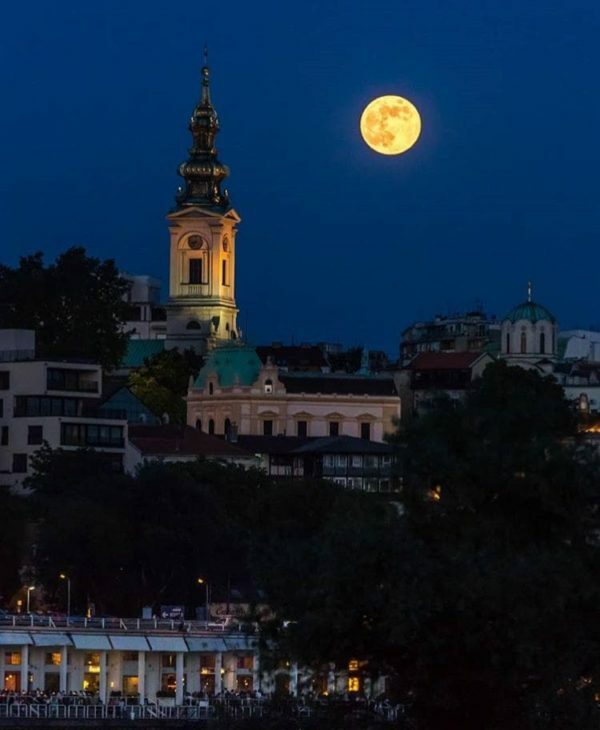 Many European cities have that, and now, Belgrade have that too! Maybe you are one of the people who like that kind of pictures in their travel albums! Did you discovered some great places which are not on this list? Let us know in a comment bellow!